I've always wanted to take ballet classes and there are plenty of place in NYC to learn the art! Get a passport and use it! I really wanted to go to New Zealand to visit Kyle and be there to ring in the New Year but when I was looking at a $2,500 round trip plane ticket I had to re-evaluate. 2013 will be the year I get a passport and use it - even if it's just for a weekend in Montreal. Although I've heard London and Paris are just a hop skip and jump over the pond from NYC :). Send handwritten birthday cards to loved ones. It's easy to get lost in the technological world we live in and being so far away from most of my favorite people I want to send cards for everyone's birthdays. Cross some items off my East Coast Bucket List. I've been curating a bucket list of things to do while I live on the East Coast. They consist of some things such as visiting Boston, Washington DC, Maine, etc. Dress for myself and not others. This one seems pretty easy, however it can be really easy to let others influence your decisions, and especially your styling decisions. I think I'm slowly finding myself and my sense of style and I want to really start letting it shine. I also came across a great quote one day that supports all of this: "In the end, people will judge you anyway. Don't live your life impressing others. Life your life impressing yourself." I've been working to make this my philosophy because it's so true in so many facets of life. I hope you grab 2013 and run with it! I can't wait to see what it brings us all - it's party time! Yes, come visit!! I would love to see your pretty face in DC! 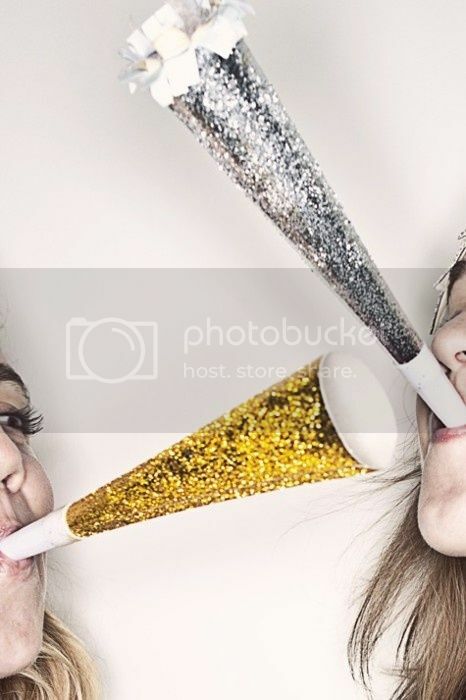 Happy New Year, girl! I am DEFINITELY making it to DC this year! It's just a matter of when! I can't wait to visit! Girl, you're coming to ballet with me sometime!!! I'll take whatever level you're comfortable with. I love the studio I go to, and I think you will too! Sounds good!! I can't wait! I am really excited to try ballet! I love your resolutions! I make it a point to send hand-written cards and everyone seems to appreciate it, every time. And ballet?! How exciting! I think it's so much better than a happy birthday via Facebook or text or e-mail or whatever! Just adds a nice touch! And yes, ballet! I've been dying to try it for at least a year now! Come to Montreal!! It's not as fancy as Paris or London, but it's cheaper and you'll have as much fun I'm sure! Let's make 2013 the best one yet! PS. Love the quote! It's so true! I'm ok with not as fancy as Paris or London! It's so close there is no excuse not to come! Thank you for reading! 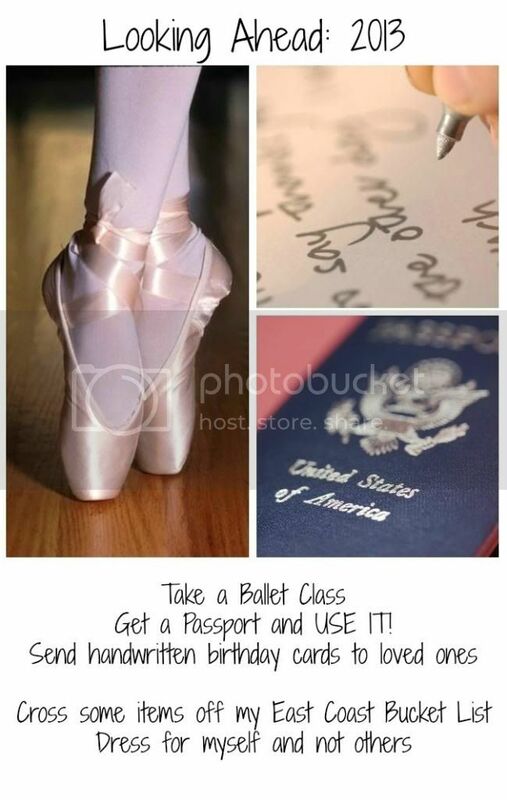 Omg, you totally have to take ballet classes! It's a killer workout and really rewarding. I definitely need to put that on my New Years Resolutions for sure! I've heard it's great exercise!! I haven't done dance since 5th grade so I'm a little nervous but I think it will be a blast!